Fill out the form here to download our Top 40 Preventative Maintenance Tasks checklist and get the Bonus Life Safety Code Explained guide. Senior Living Facilities (along with all health care facilities) in the U.S. are required to meet certain federal safety compliance standards under the Joint Safety Commission Life Safety Standard. Each facility must have a yearly state inspection for these compliance standards, which can result in a pass or fail. In Canada and other countries, there are also safety standards that must be met in order for senior living facilities to remain compliant. Regardless of what the governing body is, the general requirements for health care facilities to remain safe and compliant are the much the same. What it all comes down to, really, is safety. Senior living facilities (whether that’s assisted living, senior apartments, retirement communities, or another type of building) must be a safe place for residents to live and go about their daily lives. Remaining compliant with fire safety and other physical environment regulations plays a huge role keeping the people who rely on your facility safe and happy. So how can you ensure that the equipment (this includes doors, safety signs, window locks, snow clearance, etc.) in your senior living facility is being properly maintained? The best solution is preventative maintenance. There are tasks that must be completed on a regular schedule (daily, weekly, quarterly, yearly) by your maintenance department. These tasks - which can include inspections, checks, and repairs – are in addition to any “one-time” maintenance requests your department deals with each day. The key to staying ahead of compliance requirements in your senior living facility and ensuring you’re prepared for all state inspections is organizing and scheduling your preventative maintenance tasks. There are a lot of different ways you can do this, but many facilities find that scheduling preventative maintenance what we call “the old fashioned way” through pen and paper or on a spreadsheet, just doesn’t work. It’s too easy for maintenance tasks to get pushed aside or lost in the midst of incoming requests. Then, before you know it, your senior care home no longer meets requirements for fire safety because doors haven’t been checked. The best way to ensure regular checks, inspections, and repairs are completed is with preventative maintenance software. Maintenance management software for senior living facilities that has preventative maintenance capabilities is the best choice for keeping your buildings safe for all those who use them and compliant to any regulations you must meet. A good software will allow you to streamline preventative maintenance tasks by allowing for easy scheduling and assignment. Plus, maintenance software for senior care facilities will provide mobile access, so your maintenance team can view and respond to tasks on the go rather than having to go back and forth to the office. Gone will be the days of panicking about meeting compliance standards because preventative maintenance inspections and checks have been forgotten. When you implement the right maintenance management software Not only will your senior facility be safe and compliant, you’ll also save money and increase your ROI. Once you’ve made the decision to implement computerized maintenance management software (CMMS) you’re next decision is which one to choose. 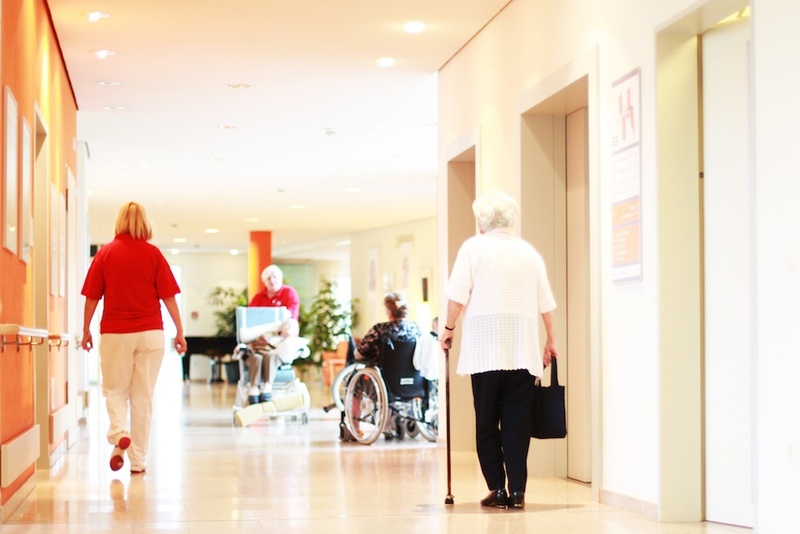 At Maintenance Care, we’ve been specializing in providing CMMS to senior living facilities for many years, so we know a lot about what you need in order to maintenance a safe and compliant facility for your residents. Our CMMS offers a variety of features that you’ll be able to utilize to streamline your daily maintenance, but most importantly to compliance, it has preventative maintenance capabilities. Our preventative maintenance software features easy scheduling, simple task assignment, form attachment, quick report creation, and much more. Plus, you and your maintenance team can access all of these features and our work order tools through the mobile app to take care of everything on the go. While facilities under different regulations will have different compliance requirements, in general, the same inspection and preventative maintenance tasks are required for all senior living facilities. To help you start off organizing your preventative maintenance program, we’ve created our Top 40 Preventative Maintenance Tasks Checklist. The checklist not only contains a list of 40 items you should be scheduling immediately, but also includes a bonus section with an explanation of common reasons for senior facilities to receive a citation under Life Safety Code. Fill out the form at the top of this page for access to our Top 40 Preventative Maintenance Tasks checklist and get the Bonus Life Safety Code Explain guide.